What is a Crypto Market Scanner? A cryptocurrency market scanner is a quick way to screen exchanges for moving indicators such as price, volume and technical indicators like RSI, MACD, MA, etc. Why is a market scanner useful for crypto? There are over 1,800 cryptocurrencies available at the time of writing this blog post across multiple exchanges (Eg. Binance, Bittrex and so on). Often we would be “too late” to catch a coin that might be moving, and this is because it takes a long time to get the useful information. 2. You’re often late to the party unless you were looking for an entry previously already. 3. 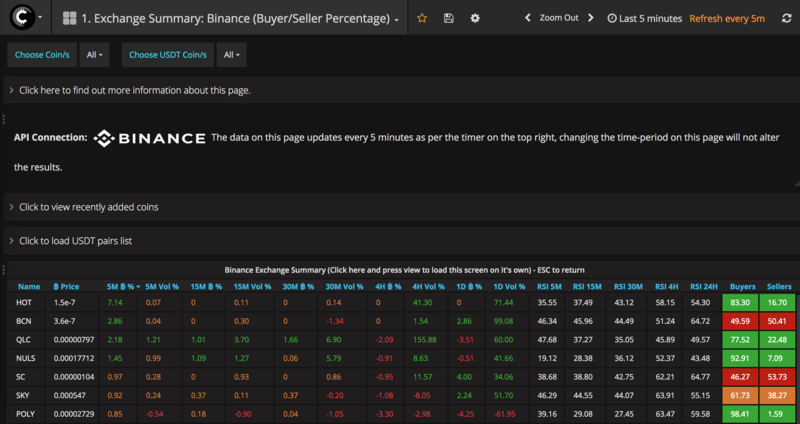 See where there is the most volume/price % changes on all timeframes, instantly. As you can imagine, this already sounds like a great way to save time. With good crypto market scanners you can also set alerts, such as to be notified when RSI is oversold for a certain cryptocurrency or a MACD crossover has taken place. As crypto is still in it’s very early stages, it’s difficult to find the right tool to suit your needs. What tool should I use for market scanning cryptos? This is exactly what we developed Cryptolume (https://cryptolume.co) for. We’ve been operating since October 2017 and have been constantly developing new tools in this space to assist users with their trades, not only do we have the above but we also have a lot of fundamental tools which you can use to aid with your trades. What Happens When the Last Bitcoin Token is Mined? What Is A 51% Attack In Cryptocurrencies? What is Proof of Stake and Proof of Work? How to Stay Safe in the Cryptocurrency World? The Cryptocurrency Revolution has only just begun, are you in?